Matthews’ Painting Co. is a reputable interior and exterior professional painting, staining, log home restoration, wallpaper stripping, drywall repair, and pressure washing firm that has been in business for over 20 years. Our residential and commercial painting and staining business is expanding throughout the Warsaw, Winona Lake, Leesburg, Syracuse, Columbia City, North Manchester and Goshen Indiana areas. We have a very structured and detailed hiring process. All painters applying to our painting and staining company are required to go through two interviews and submit to a drug screen and criminal background check. Physical demands are climbing a 24-32 foot ladder, reaching, twisting, bending, squatting, walking, pulling, pushing, grasping, lifting full 5 gallons buckets of paint, working on your knees at times and standing throughout most of the shift. Experienced painters must complete and pass a 70 question foreman painting exam originated by our trade association, Painting and Decorating Contractors of America and take a “hands on” painting test. You will be trained personally by the owner, Jason Matthews, in our training area which includes previewing 43 plus training videos. You will then work under a painting crew leader or painting foreman as you finish your training. Your painting work will be inspected hourly in the beginning to ensure my clients are getting the paint quality that I promised them. All of our painters are employees rather than sub-contractors who are uniformed, courteous to one another, and hard working, providing the best in customer service and satisfaction. We are also a smoke free company! If you are seriously interested in starting a painting career with Matthews Painting, please call the phone number above, contact us here on our website, or you may fill out an application now by clicking the button below. Apprentice: $14-$15 Someone with no professional painting experience. 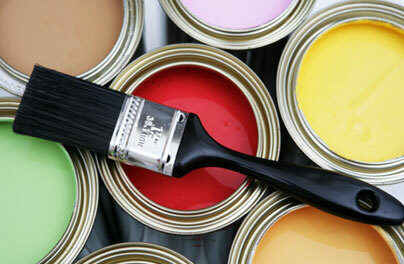 Painter: $15-$17 Someone able to paint most substrates with supervision of a Lead Painter. Lead Painter: $17-$20 Someone able to paint a project without supervision and manage most projects when a crew leader is absent. Crew Leader: $20-$24 Someone who can paint and manage all projects and make team members better through daily training and mentoring.